SUPPLEMENT FOR THE ORIGINAL SAGA GAME. NOT DESIGNED FOR SAGA 2. 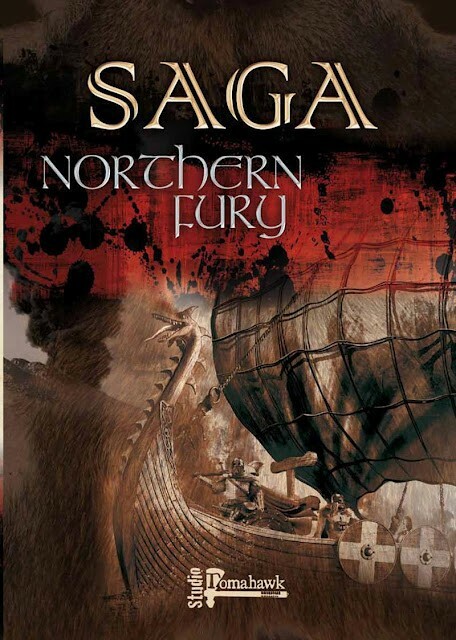 "They came from the North spreading terror before them and leaving desolation in their path"
Northern Fury will give you 4 new factions to lead into battle, and contains the Battleboards and rules needed to play these warbands. It also has Heroes of Viking Age for these factions plus a specially designed multi player scenario which will allow you to form allegiances and vanquish your enemies.